Taking on your first century can seem like a daunting task, but with the right strategy you can have a successful and rewarding ride. It’s important to take the time to map out your training strategy leading up to your first century and set some realistic pacing goals for yourself. Another important component often overlooked is your nutrition strategy for an event of that duration. The great thing is that there are a lot of great tools and resources out there to help you dial in your strategies from consulting with coaches to purchasing a pre-built training plan. Here are three tips for any rider tackling the century for the first time. To get started, first take a look at how much time you have until your century and how long you expect the century to take for you to complete. After getting an idea of how much time you need to be able to spend on the bike in a single ride and your available weekly hours, you will a map of what you need to achieve and the time you have to get there. You’ll want to try to give yourself enough time to gradually build up your duration each week to avoid overreaching or even worse overtraining. This is typically referred to as the build phase. The general rule of thumb is to avoid increasing your total weekly duration more than 10% from one week to the next. After three weeks of consistently increasing your weekly duration, reduce the duration and perhaps even the intensity a bit to allow yourself to recover a bit from the previous three weeks. If a three week build cycle is a little too much to recover from, reduce the build phase down to two weeks or even just reduce how heavily you ramp up duration or intensity from week to week. For example, if you have 12 weeks until the century and your current weekly mileage is 200 miles with 50 being your long ride, increasing your mileage by 10% each week would still allow you to be able to safely reach a long ride of 90 miles prior to race day. As you start doing some longer rides in your training plan, try to nail down a good nutrition plan that works well for you. Those longer rides will use up all your glycogen stores and you will need to come up with a way to provide a steady stream of energy your body can use to keep you going. You can typically run off glycogen stores for any ride of an hour and a half or less. Beyond that, you’ll want to look into bringing enough food with you to eat every hour or so on the bike. As a starting guideline, shoot for 300 to 400 calories per hour and eat in intervals of 15 to 20 minutes. Nutrition preferences vary widely from rider to rider, so be sure you find something that works for you and you know will get you through your event. Experiment with a variety of calorie sources, from sports nutrition products like gels and bars to old fashioned bananas and PB&J’s. When logging your miles for the day, it’s a good idea to also write down what you ate, when, and how it affected you. Refer back to these notes to refine your strategy. If you have special dietary needs, it may not hurt to consult with a nutritionist to dial in a good strategy for yourself. Use your training rides to experiment as they will give you plenty of opportunities to find something that works well for you. As your event gets closer, start planning a ride two to three weeks out that will match the duration you expect to see on the day of your century. If you’ve given yourself enough time and have steadily increased your weekly duration over the previous few months, you should be able to handle a ride that either matches or is close to the length you need for your century. If possible, try to mimic the terrain you will face during the event. 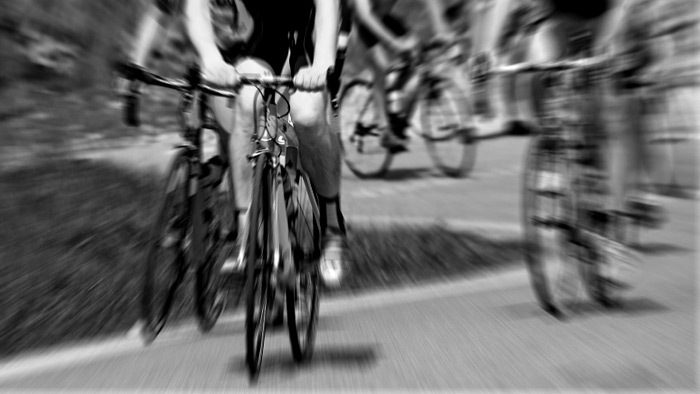 After the final long ride, start tapering down your weekly duration for those remaining two weeks prior to your event. This should help you feel rested and recovered from all the training you’ve been doing. The recovery aspect of training is just as important as the time you put in suffering on the bike. Without recovery your body never gets to adapt to the training you’ve done and in turn you won’t see improved fitness. Centuries are fun events and can be very rewarding. The more prepared you are for your century, the more fun you’re going to have come the day of your big ride.